Becoming good at identifying the targets at the table is among the most important skills a poker player can learn. GTO slowly transitions from an overhyped buzzword to what might be the lay of the land, at least as far as online poker is concerned. However, many top players would still argue that exploitative play is the more profitable approach even in relatively high stakes game. As far as micro and small stakes go - there is no argument. Becoming a profitable poker player is mostly about finding good games, identifying the players with the most obvious leaks and punishing said leaks. There's no way around it, in the game of small edges you have to take advantage of the big leaks. It might seem predatory to beat on the players who just want to have fun playing some cards, but in a zero-sum game, it's a simple issue of self-preservation. This is why becoming good at identifying the targets at the table is among the most important skills a poker player can learn. Before we talk about the things to pay attention to when trying to identify a recreational player at the table, let's explore the morality of that approach in a bit more detail. If you believe Mike McDermott from Rounders, "It's immoral to let a sucker keep his money" and "If you can't spot the sucker in your first half-hour at the table, then you ARE the sucker". While the latter has a lot of truth to it - hence the reason for creating this article - the former might be a bit too simplistic. 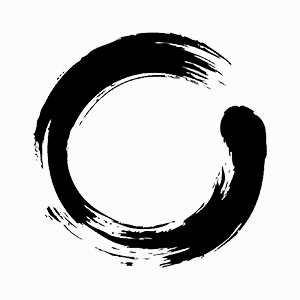 We should emphasize again that poker is a zero-sum game offering tiny edges. In the face of that, no player should feel bad about beating other players as hard as his ability and variance will allow. However, there is something to be said about going too far. There's a fine line behind identifying a recreational player with a piece of legal software arming you with head's up display (even if you know your opponent is unlikely to use one) and using a seating script. There's also a difference between table selection and bum hunting. The prevalence of seating scripts combined with players unwilling to play with anyone other than the obvious targets practically destroyed online high stakes and made the entirety of the poker ecosystem worse off. Are we supposed to go easy on the recreational player? Absolutely no. Should we refrain from angle shooting practices like bum hunting and seating scripts? That's for every individual player to decide. Item one and two on the list of recreational player markers is the screen name and player avatar. This is arguably the least reliable way of identifying a potential target but it's also one of the first pieces of information you get and if you're serious about this whole exploitative poker idea you might as well start from the top. Look for the players with the screen names emphasizing their hobby rather than their poker knowledge. A player named 'Maradona86' is slightly more likely to lack in the skill department than someone who calls himself "N3verFold". In a similar fashion, someone with an animal or a child in the avatar picture might be more concerned with stuff outside of poker. Again, it's important to emphasize that this isn't very reliable and it should be substituted with another source of info at the earliest convenience, but paying attention to the small things is a good habit to get into if you want to become good at player profiling in general. Another piece of information that you're going to get relatively early that's far more reliable than what we discussed above is the player's stack size. Given how short stack and mid stack poker strategies died down a bit in recent years virtually every sub 80-90bb stacks in 100bb buy-in cash game means that its owner is doing something wrong. Some sub 50bb players might be competent short or mid stack strategy players, but there's virtually no good strategic reason for the stack in 50-80bbrange and that should be your cue to start targeting the owner of a similar stack. Just like there's no strategic benefit to playing with 50-80bb in a 100bb cash game there's virtually no good reason for a player to open limp in the online cash game environment. Few players would be able to properly balance that play and if they're skilled enough to do so, they also know better than to do it. As soon as you see a preflop limp this should constitute an open invitation to isolate the player making it with a somewhat wide value range. 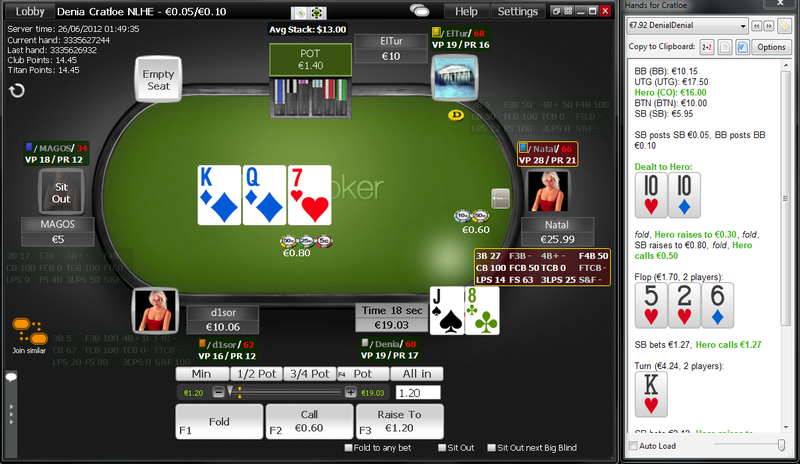 Some poker rooms let you check how many tables your opponents are playing. Use that. If it turns out that a player plays only one or two tables he's automatically more likely to be a hobbyist. You can still make an educated guess about the number of tables that your opponent is playing even if you don't have the access to a specific tool. 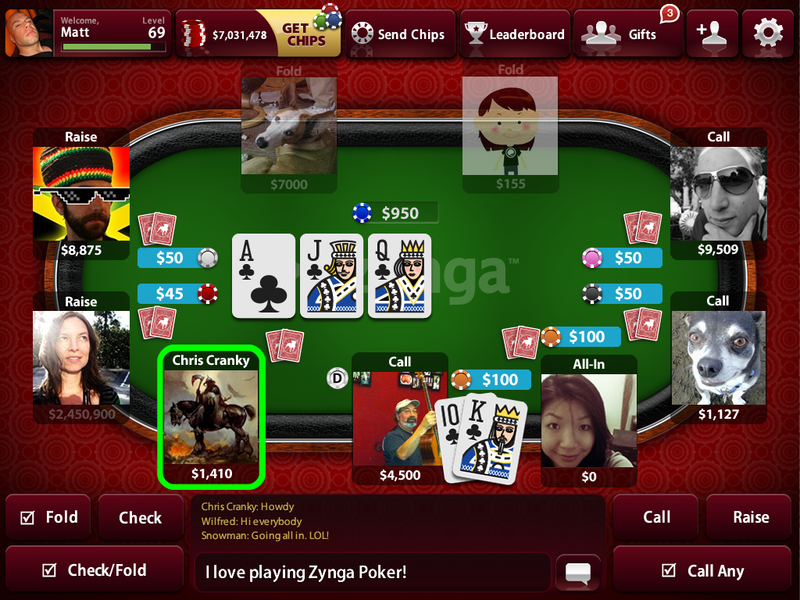 If your opponent is often showing his cards or uses the chat functionality of the poker client you can assume that he has time to spare between the hands and he's not pressured to make multiple decisions at the same time. This is pretty self-explanatory. If you're using a HUD you most likely know exactly how to spot a recreational player at the table. In case you're new at that sort of thing, or your database isn't very large here are some basic stats you should pay attention to. 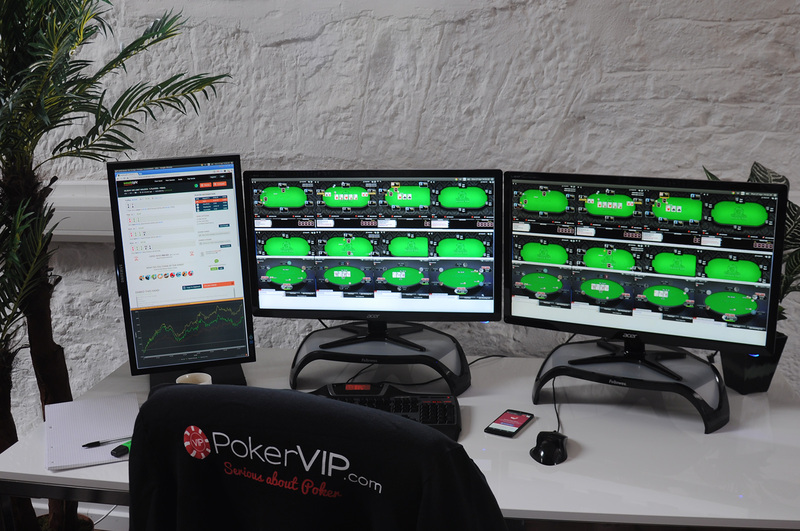 Players with a very large (more than 8%) gap between VPIP and PFR are almost always recreational players. The more pronounced the gap the higher the likelihood. Something like 40/5 is exactly what you're looking, but you should gladly take 42/23 or even 31/19. Another fairly reliable stat is high Went To Showdown though it requires more hands to be reliable. Some recreational players will also use their deep pockets to play an over aggressive playstyle. While this is somewhat uncommon, pay attention to abnormally high 3bets, raise cbet stats, aggression factor check/raise etc. Probably the best way of spotting a recreational player before you even sit at the table is the fact that they tend to have a green colored note around or next to their screen name - if you remember to leave it once you identify them! Make sure to color code the recreational players that you meet at the table to save yourself a lot of work in the future. While this practice might not be as important at micro stakes where the player pool is large the higher in the poker hierarchy you manage to advance the rarer and therefore valuable the recreational players will become.